Posted on January 28, 2018 by Max U.
I re-watched this movie again and had a better opinion on this movie than I did the first time I saw it. The movie wasn’t still that good as I hoped it would be. The story as it goes in the comics. In the comics Amanda Waller assembles a team of criminals who would go on missions that where considered suicidal. They planted little bombs inside there heads so, if they try to escape there heads would be blown right off. I thought the costumes where great. It made every one look very flashy and cool. It definitely deserved a Oscar for the costumes. Then there where other characters that i thought didn’t do anything major. For example Captain Boomerang. I thought he was a funny character to the squad. He just didn’t do anything cool that effected the mission in any way. One thing i liked about it was that it set up a bunch of more movies. I think DC is going to use Suicide Squad to introduce more villains. Maybe something like another villain hires Deadshot to kill someone and big shocker its Gorilla Grod. One thing that i didn’t like was that it just was simply too long. I thought it could’ve been shorter. They also tried to do flashbacks like Deadpool did. That didn’t turn out good for them because the flashbacks didn’t make sense. Another complaint was of course dialog that some people couldn’t understand but I understood it fine. Even thought I watched Suicide Squad again I was still a little lost. If you like action movies then you should probably go see it. 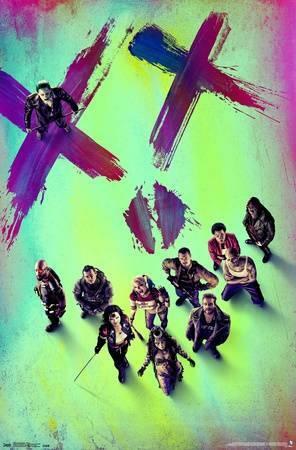 Suicide Squad is available for checkout from the Mission Viejo Library.